Peel and wash the potatoes. Parboil them in boiling salted water. Drain them and cut them in wedges. In a bowl, mix the olive oil, the garlic, the parsley, the salt and pepper. 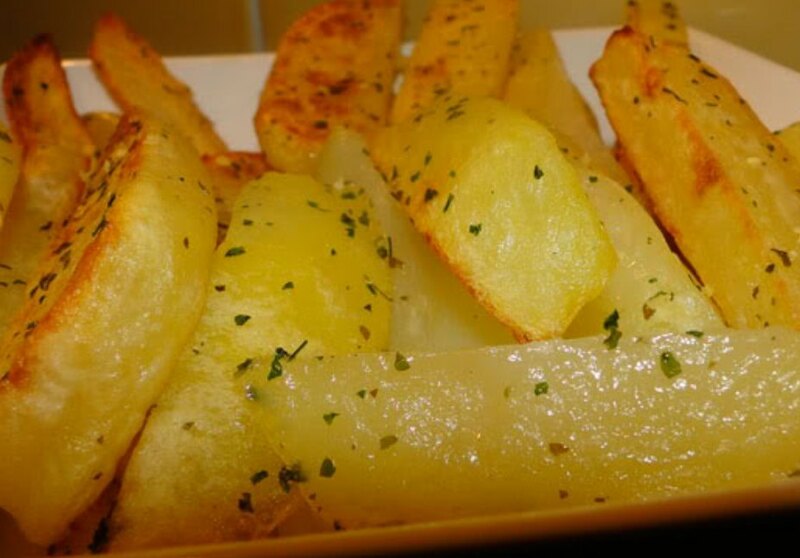 Brush the potato wedges with this mixture. Transfer them to the oven and bake at 410ºF (210ºC) until they're golden brown and crispy. Enjoy this recipe and many more when visiting chichoskitchen.